Awards shows can be tough to sit through. For every category you care about, there are about five that you don't, punctuated by long-winded speeches, jokes that never land, and boring presenters. That's why the best way to watch this year's Emmy Awards is through GIFs. They break down the night into the quick moments that you actually want to see. A speech had a single good line? It'll be in the caption. Someone made a crazy face after learning of a winner? Watch it on an infinite loop. Plus, you never know when an awards show will help you discover the reaction GIF that will go on to be prominently featured in roughly 80 percent of your emails for the rest of the year. And while this year's Emmys have been largely lackluster, they have delivered some GIFs worth looking at and maybe even saving. Yes, even without the presence of the man who inspires a GIF with everything he does, Benedict Cumberbatch, the Emmys managed to produce some GIF-able moments. 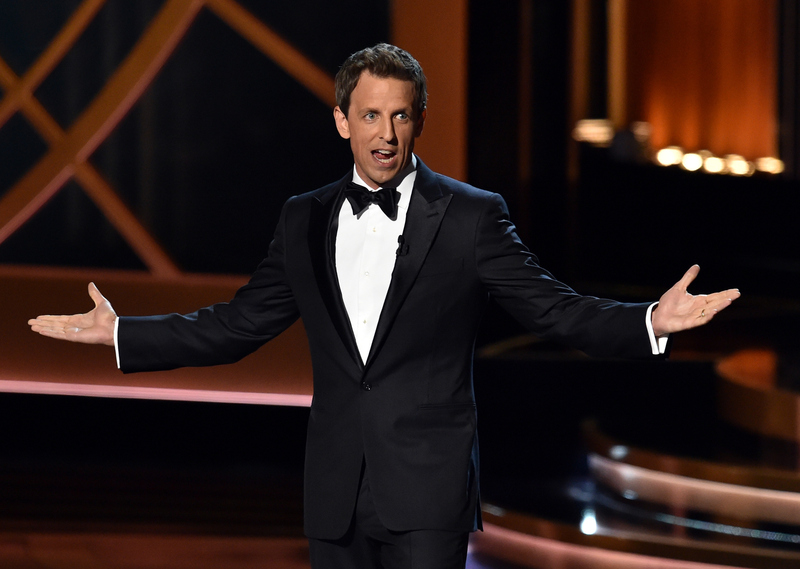 I hate to break it to Seth Meyers, but we'll probably remember these moments, which only lasted a few seconds, more than his entire opening monologue. Here are the most important GIFs to come out of this year's Emmys, because honestly, do you need anything else? In the words of tonight's host, really Sofia Vergara? Really?